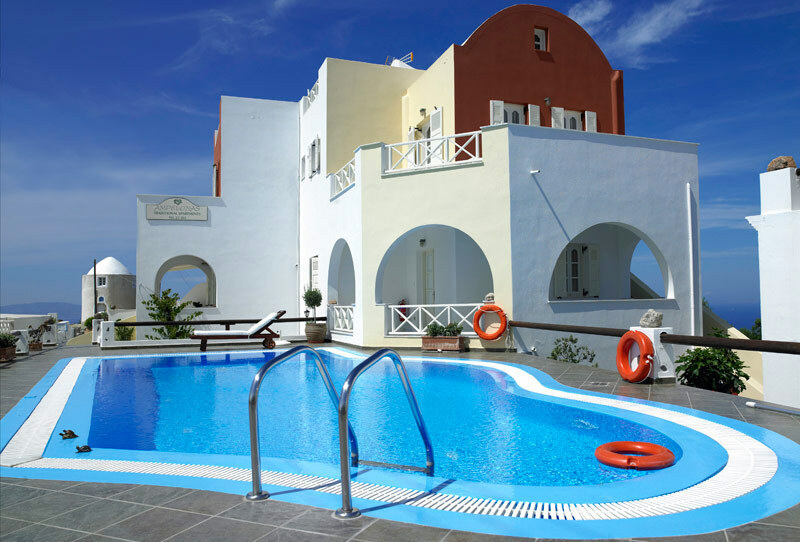 Ampelonas apartments are situated in Imerovigli, in Santorini island. They consist of a complex of apartments built in a traditional style. Their architecture has been harmonised with the surrounding scenery while they offer a great view to the volcano. In the evening you can enjoy the sunset from their veranda. Our staff offers you all you need for a relaxing and pleasant stay. Apartment: bedroom with a double bed, living room with a sofa (single bed), private veranda or balcony. Maisonette: two floors, (internal stair), one bedroom (upstairs) with a double bed and a bathroom, living room (downstairs) with one double bed, sofa (single bed), bathroom, private veranda or balcony.